Comes from famous Karachi Bakery. 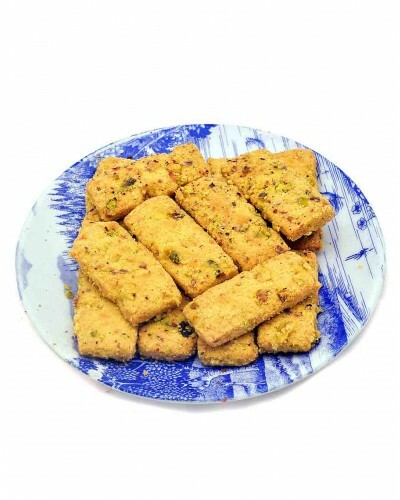 One of the most preferred biscuits in India and cherished by children and adults alike is the crunchy and delicious Kesar Pista cookies. These biscuits with a creamy taste and crispy texture will melt in your mouth and the heavenly blend of Kesar and Pista will definitely capture your heart. 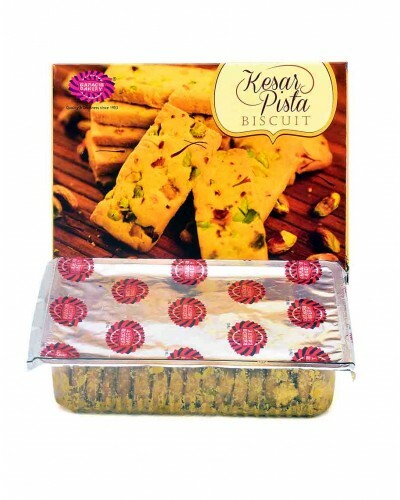 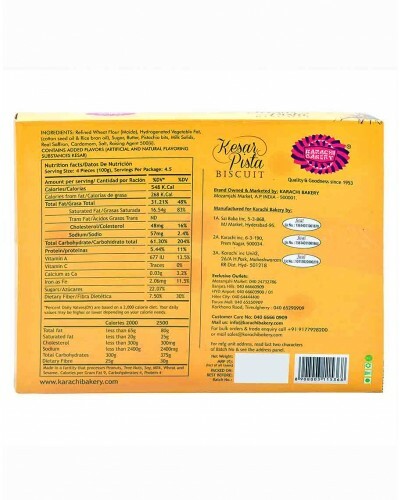 Kesar Pista cookies from Karachi Bakery will give you the most delightful experience ever.